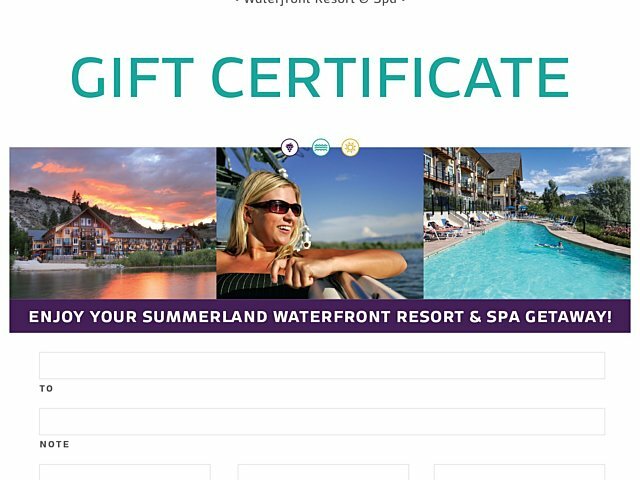 Summerland Waterfront Resort & Spa Gift Certificates are a wonderful and simplified way to give the special people in your life an Okanagan vacation getaway. Gift certificates are great for corporate incentives, anniversaries, birthdays, wedding gifts or any special occasion. Please note that mail orders require a minimum of 10 business days for delivery in Canada. Valid for accommodation at the time of redemption. Other services are an additional charge and subject to Management discretion. Gift certificates are purchased in denominations starting at $50.00 or higher. 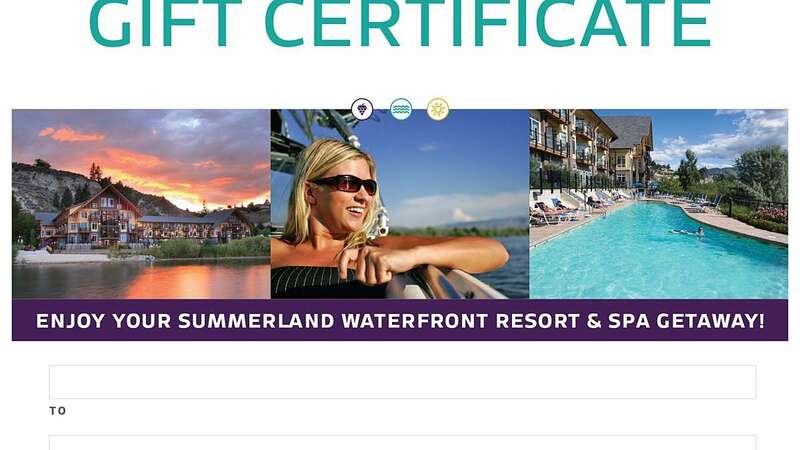 Gift certificates redeemed at face value as payment for a stay. A credit will be issued for any unused portions of the gift certificate up to $50. Available for use at any time of the year. 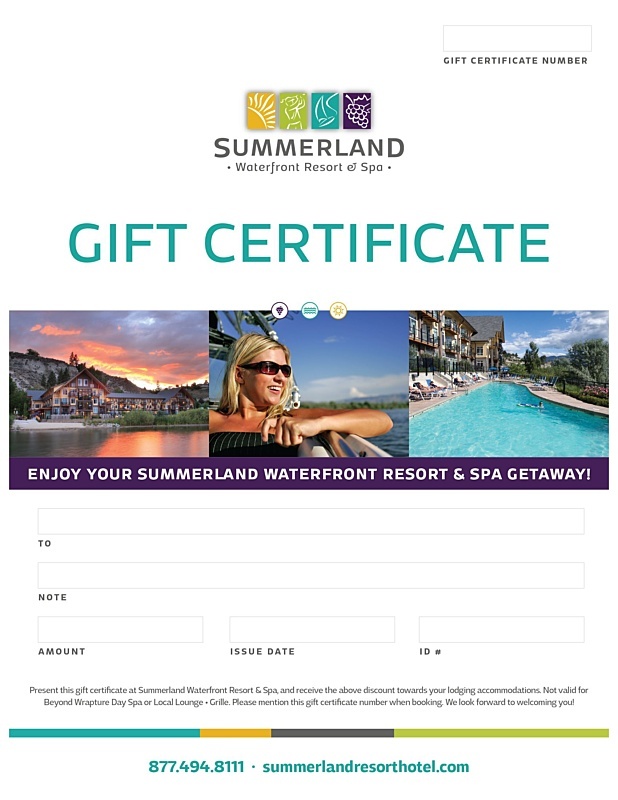 Looking for a Spa Gift Certificate? iKhaya Day Spa offers digital gift certificates from $25.00. Give the gift that never gets returns, and never expires!